The Washington County Hospital is grateful for the donation from the Washington County Home Community & Education (WCHCE) and Evening Belles Chapter to help purchase specially designed recliners for our joint replacement patients. The donation is in memory of Sue Mueller, long time member of the WCHCE and Evening Belles Chapter. These recliners have many new options to encourage mobility in patients that are healing from joint replacement surgery. Thank you to the WCHCE and Evening Belles Chapter for your generous donation. This past week Washington County Hospital and Medical Group hosted its annual luncheon that honors the WCH Women’s Auxiliary members for their dedication and service to the hospital. Thirty-five members were present for the luncheon. Nancy Newby, CEO presented each member with a small gift. The WCH Board Members, Matt Bierman, Kevin Rench, and Audrey Finke were also present to support the Auxiliary members. The WCH Women’s Auxiliary is a wonderful organization of volunteers that has been supporting and helping raise money to buy new equipment for the hospital and the members of our community. The Auxiliary raises money by hosting a number of bake sales and craft sales throughout the year. They also run the Gift Shop in the hospital and the Thrift Shop downtown and volunteer their time to help with the Blood Drives hosted at WCH. During the luncheon Melodie Wilkey, President of the WCH Women’s Auxiliary announced their donation to the hospital to help complete the remodel of the front lobby. Thank you again to all the members of the WCH Women’s Auxiliary for the dedication and hard work each and every member gives to help our community and our hospital. The Auxiliary consists of over 70 volunteer members and the current officers are Melodie Wilkey, President; Eunice Witte, Vice President; Helen Engele, Secretary; and Bernadine Stein, Treasurer. If you would like more information about the WCH Women’s Auxiliary or would like to become a member please contact Melodie Wilkey at 618-314-0155. SSM Health – Southern Illinois and Washington County Hospital in Nashville are pleased to announce an expanded partnership. After many years of working together in an affiliate relationship, Washington County Hospital entered a management agreement with SSM Health in May. The agreement will offer Washington County Hospital a wide range of management support services that will provide additional depth and resources to the facility, as the team continues to provide quality health care services to the community. The Washington County Hospital Board selected SSM Health because of the long established working relationship between the two organizations and SSM’s commitment to sustaining health care services in the local community. 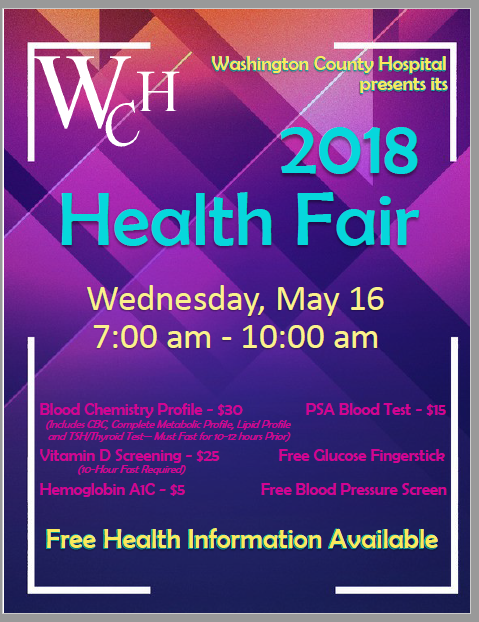 WCH is hosting a blood drive on Tuesday May 8th, 2018 in the lower level conference rooms. The WCH Medical Group wants to welcome the patients of Deb Auld. We are working hard to get Deb trained on our computer system and up and running at full speed. For her patients that are needing medication refills we want to make sure you have what you need. If you have ever received a service at WCH, even a lab or an xray, you should be in our computer system and we will be able to process a request for a short supply of medication during this busy transition time. In order to do this safely we will need some information. We will need your full medication list, the name of the medication you need refilled, your medication allergy list, and the pharmacy you use. For her patients that have an urgent care need you may be able to be seen quicker by another provider at the Washington County Medical Group. Don’t worry, you will still be able to see Deb when her training is complete and she can open her schedule to accommodate more patients. If you are wanting to transfer records please stop by our Medical Records Department to sign a release of records. Medical Records Department hours are Monday-Friday 8-4:30pm. Washington County Hospital Board, Medical Staff, Administration, & Staff are pleased to announce that Deb Auld, PA-C has joined the Medical Group at Washington County Hospital. Deb Auld has been providing care to patients in this community for more than 40 years. She began her career in 1973 when she completed the RN program at Springfield Memorial Medical Center, Springfield IL and joined the clinical staff at WCH. For a time, Auld continued her career at St. Mary’s Health Center in St. Louis, MO and in 1990, she completed her Bachelors of Science in Nursing. She later returned to WCH, as an Emergency Department RN and completed the Physician Assistant (PA) Program at the Univ. of North Dakota, School of Medicine in Grand Forks, North Dakota in 1997. Since that time she has continued to provide exceptional care to patients in our community. The Washington County Hospital Medical Group is a multi-disciplinary practice that offers family medicine, gastroenterology, and surgical services. The medical providers work together to deliver comprehensive healthcare services to all their patients. Patients also have access to the WCH ancillary services for Diagnostic Medical Imaging, Laboratory, Physical Therapy, Cardiac Rehab and more. They also have access to the Specialty Clinic Providers for Cardiology, Orthopedics, Podiatry, Ophthalmology, Neurology, Clinical Psychology, and Women’s Health. The WCH Medical Group hours offer easy access and convenience for patients. 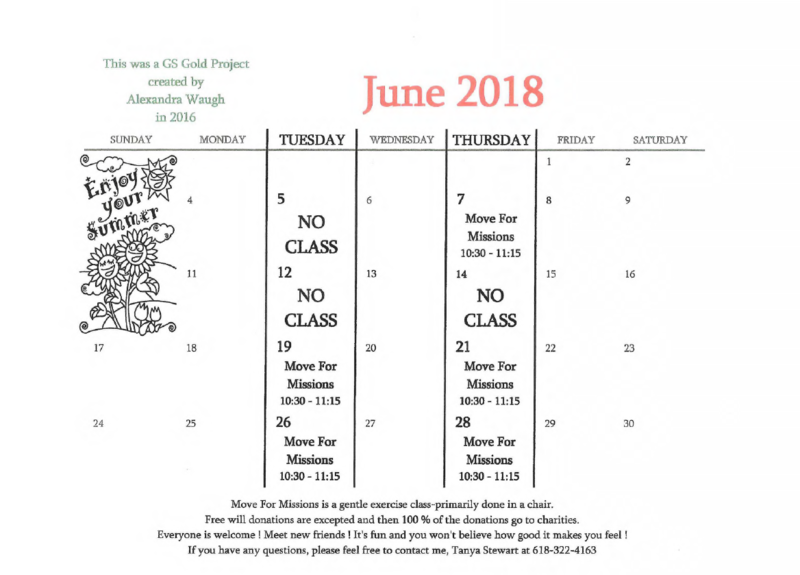 Hours are Monday-Friday from 7:30am to 7:00pm and on Saturday from 8:00am-12pm. To schedule an appointment, please call the WCH Medical Group at 618-327-2225.